Welcome to Gamma Rho Lambda Psi Chapter at The Ohio State University! 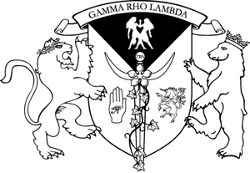 Gamma Rho Lambda National sorority is a social sorority for women, trans women, trans men and non-binary students of any race, culture, or sexual orientation. Gamma Rho Lambda National Sorority is dedicated to providing a social support system for young college students. Gamma Rho Lambda has been referred to as the first national multicultural lesbian sorority; however we are inclusive of cis-gendered women, trans women, trans men, and gender variant people of all sexualities and racial identities. Copyright © 2019 Gamma Rho Lambda National Sorority Psi Chapter at The Ohio State University. Powered by WordPress. Theme: Accelerate by ThemeGrill.